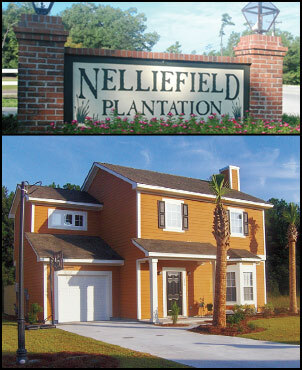 When you first drive into Nelliefield Plantation, you’ll be delighted by the look of this community. The houses are colorful, ranging from muted greens and blues to splashes of coral and rust. Built with HardiePlank siding, many of the homes are accented with brick, giving them a more high-end look. Architectural shingles add to the good looks and curb appeal. The homes are beautifully landscaped, and some residents even enjoy pond views. Better hurry if you are interested in one of these homes. At these prices, they’ll be snapped up quickly.